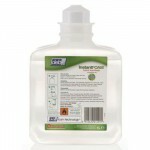 Universal pre-work skin cream to help protect the skin against contact with water and non-water based contaminants. Perfume-free and non-greasy, it is compatible for use under latex and nitrile gloves to provide a second line of defence. 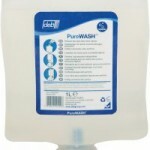 Makes skin easier to clean. 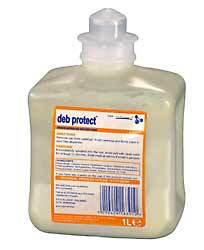 SKU: Deb Protect 1L. Category: SKIN CARE PRODUCTS.